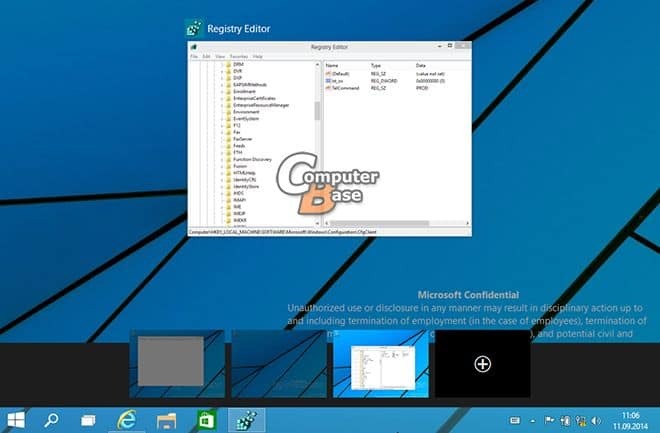 The Screenshots of technical preview of Windows 9 build “9834” were leaked previously but this time we are going to see the closer look at how the desktop gets transformed in future release of Windows 9 build “9834”. The information of Windows 9 leaked screenshots were obtained through German sites “Computerbase” and “WinFuture”. As per the leak source, they obtained around 20 photos of what the “Windows Technical Preview,” which is expected to be made available later this month or in early October. The screenshots, from a very early Windows build provided to close Microsoft partners, provide an even closer look at the new Start Menu, and some obvious changes to the Windows taskbar. At the top of priority, windows has added a new search Icon next to the start button on the taskbar, alongside what appears is a button for the virtual desktops feature. In later screenshots the virtual desktop feature is well explained with a pane along the bottom of the windows 9 desktop that allows you to switch between visualized desktop areas. 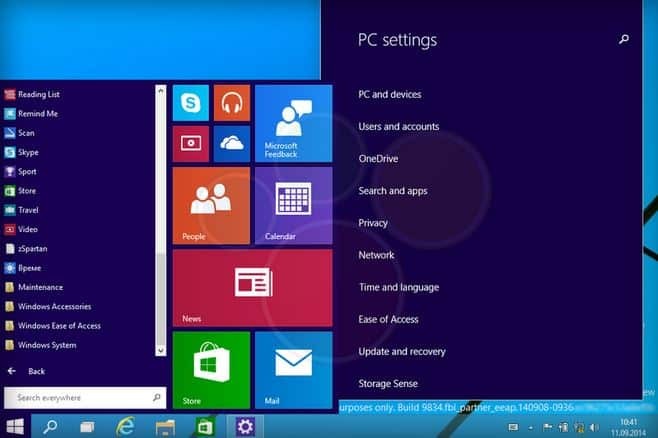 Windows 9, has kept the same feature of floating apps which we had seen in Windows 8. In Several other screenshots of leaked Windows 9, you can see app commands for search share, play and settings available in context menus within the apps. Microsoft has focused in creating new icons for Windows 9. The new icons were applied for File Explorer, Desktop, and other elements in Windows 9, a change that appears to flatten the UI out slightly to match its “Metro-style” look and feel on Windows 8. The additional feature, microsoft has added in Windows 9 is the Notification centre. Notification centre of the windows 9 can be accessed from the system tray area of the Windows taskbar. Microsoft is also making slight adjustments to the jump list menus in the taskbar (available when you right-click) to flatten out the UI.